This content is copyright free and can be republished at will. 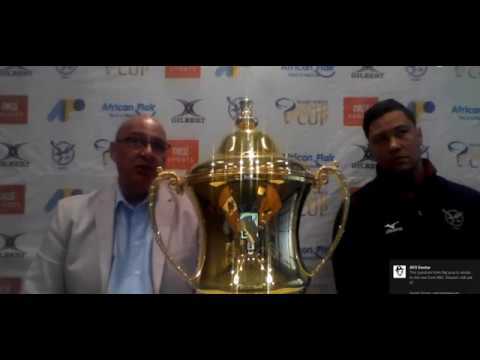 Video recording of the final press conference of the Rugby Africa Gold Cup The video below is copyright free and can be used at will, without asking for authorization CAPE TOWN, South Africa, August 20, 2018/APO Group/ -- Speakers are: For Kenya: Kenya captain Davis Chenge and Kenya Head Coach Ian Snook For Namibia: Mervin Green CEO Namibia Rugby Ltd (company), Darryl de la Harpe (player), Team Manager Irvin Newman This content is copyright free and can be republished at will. Distributed by APO Group on behalf of Rugby Africa.